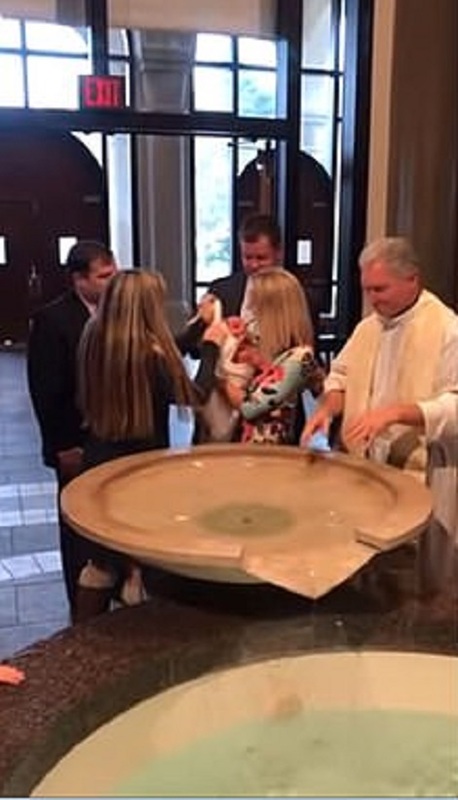 A baptism ceremony went horribly wrong when a priest lost his grip on the baby who fell face first into the baptismal font. A family, including the baby's parents and godparents, were seen standing around the baptismal font in a church along with the priest. A woman who is gently cradling the baby, carefully hands the child over to the priest to baptize the child with water. 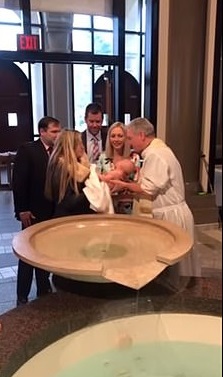 He then places the baby in the baptismal font and blesses the child's head with water. 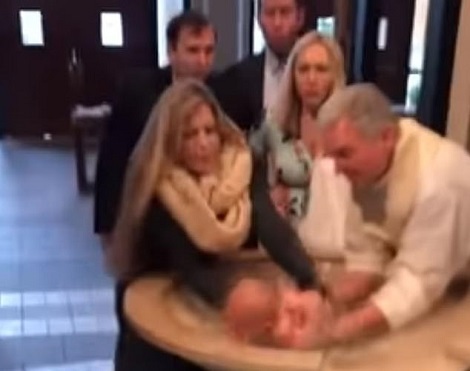 However the ceremony takes a turn for the worst when the priest appears to let the infant slip from his hands. 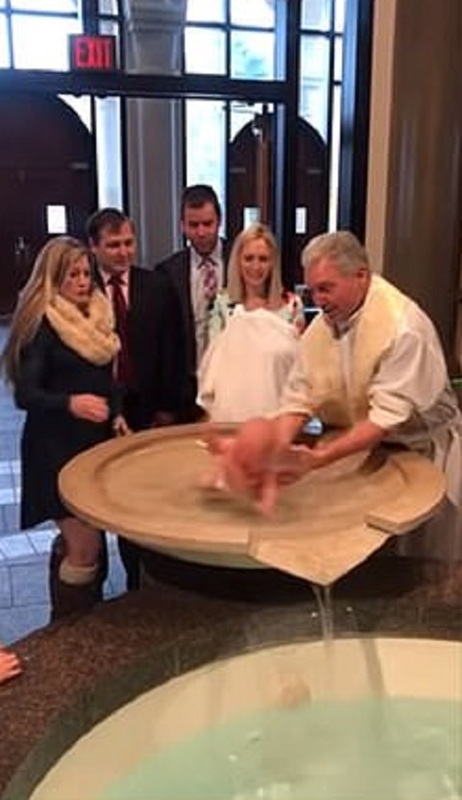 The baby then screams hysterically as it faceplants into the baptismal font as its parents and family look on in horror. The godmother quickly grabs the baby and hands the child back to its mother as she does her best to comfort and cradle the baby in a blanket.